Hi! 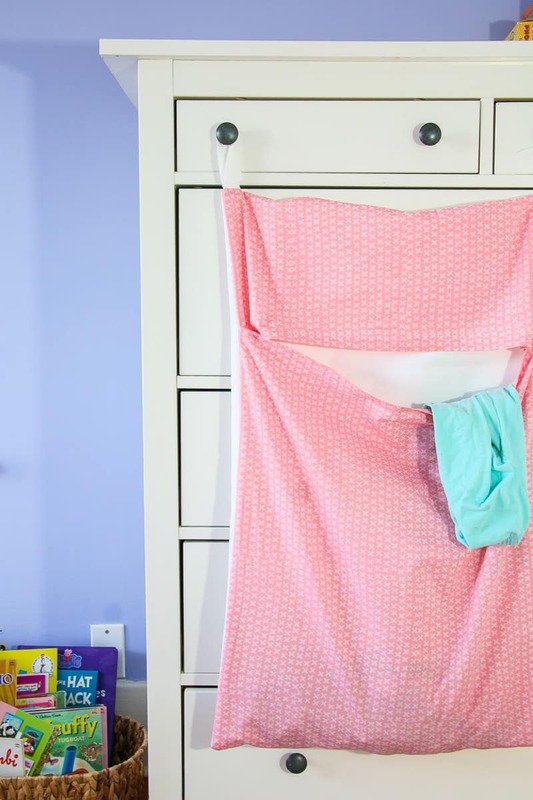 Today I want to show you guys how to make your own hanging laundry bag. It’s soooooo easy! 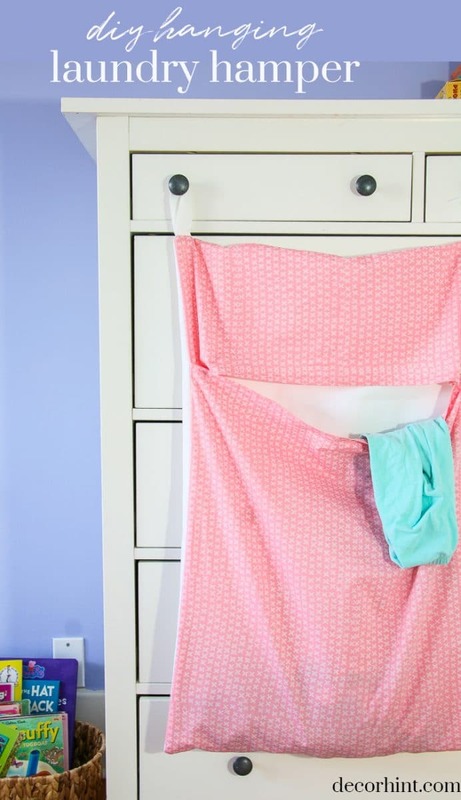 If you have kids – you may notice it can be a challenge to get them to put their dirty clothes into the hamper. I find dirty socks everywhere! Please tell me I’m not the only one?! My daughter had a big, basket type laundry hamper with a liner that we stored in her closet. It was cute and all, but it took up a lot of space. The basket was somewhat falling apart and it was kind of a pain to use. It had a lid on it that you had to open everytime you wanted to put something in the laundry. We needed a better system to get her to actually use her laundry hamper. So I had some extra fabric laying around from old projects. Actually, the fabric was from when I made zipper pouches (it was the inner liner) and another fabric was from when I shibori dyed some canvas. They totally work! I just used plain white canvas as the back piece of the hampers. I like the medium weight fabrics because they give the hamper some structure, even though it just hangs on a couple hooks. Your choice of fabric (you really only need 1 yard to make 1 hamper, unless you want something bigger). I really like Premier Prints fabrics – they are on trend and inexpensive compared to other brands. They are also just a good quality fabric. I ended up making one for my son too because he also has a basket type hamper with NO liner. That’s an even bigger pain when I want to do his laundry! I made two different versions of hamper but they both work. 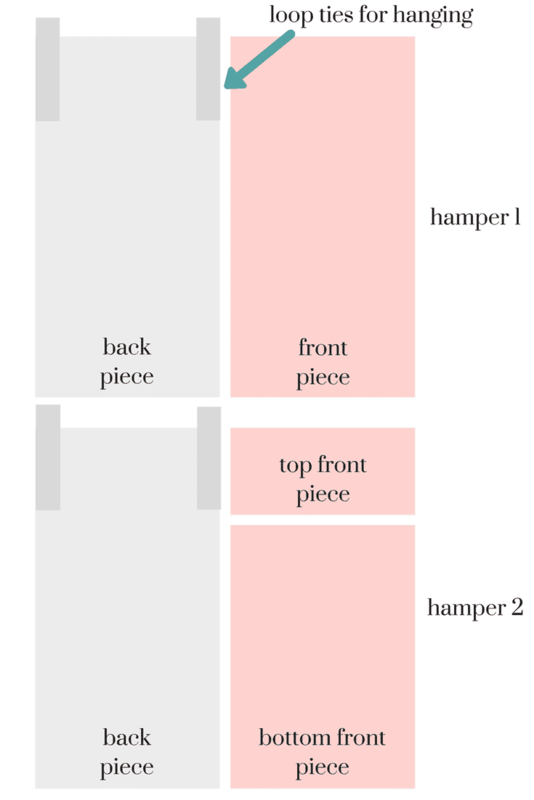 Here’s the basic idea for his hamper (Hamper 1). Cut two pieces of fabric the same size as you want your hamper. 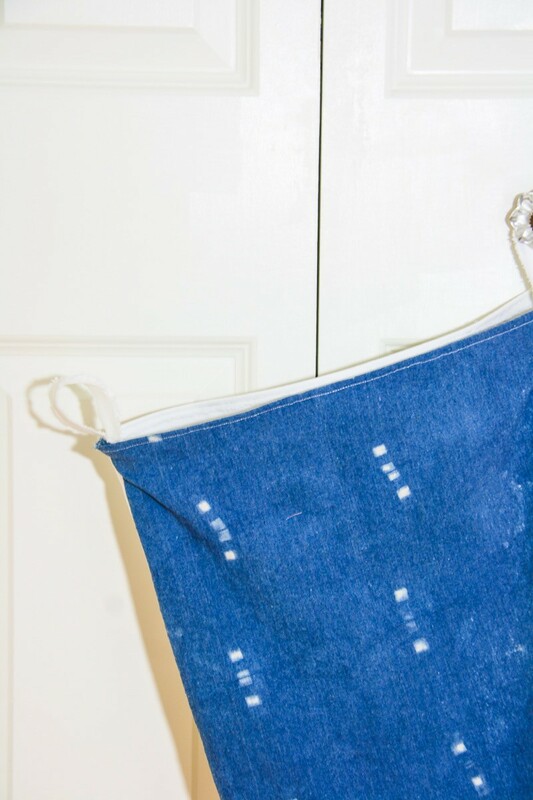 Sew a double hem on the top two edges of each piece of fabric. This will be the part where it opens. Line up your two pieces of fabric with right sides facing each other. Sew around the three sides, keeping the top part open (where you sewed the hems). 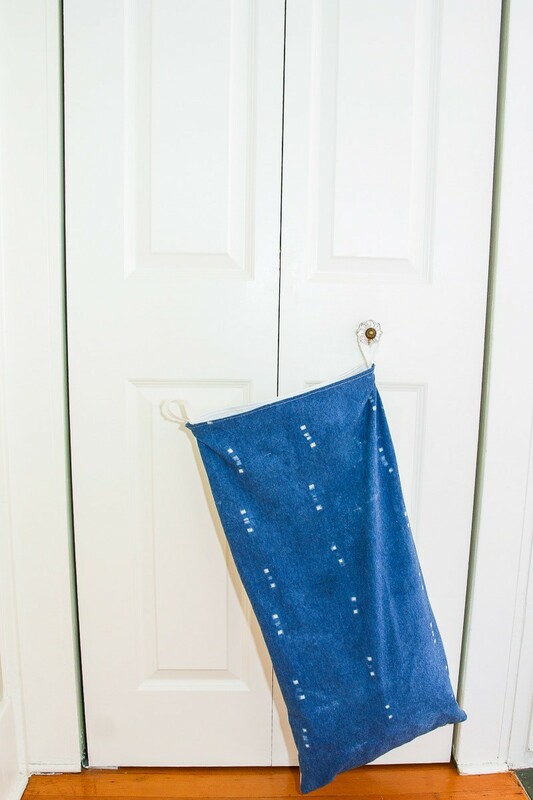 Finish by making a little loop out of fabric and sewing the bottom of the loop to the inner sides or back of the hamper. Now flip it right side out! For Hannah’s hamper, I made hers bigger with an opening (“mouth”) in the front instead. Here’s how I did it. (Hamper 2). You want to sew your double hem on the bottom of the smaller front piece and the top of the larger front piece (where the mouth is). Then, line up your front and back pieces again with right sides facing and sew ALL the way around. Repeat with the second front piece. Flip it right side out. I know I keep calling the opening a “mouth”, but I saw somewhere (maybe Pinterest??) where they called the hamper a hungry hamper and you have to “feed” it your dirty clothes. She’s definitely been using it (so far) and I’m loving the extra space in her closet. 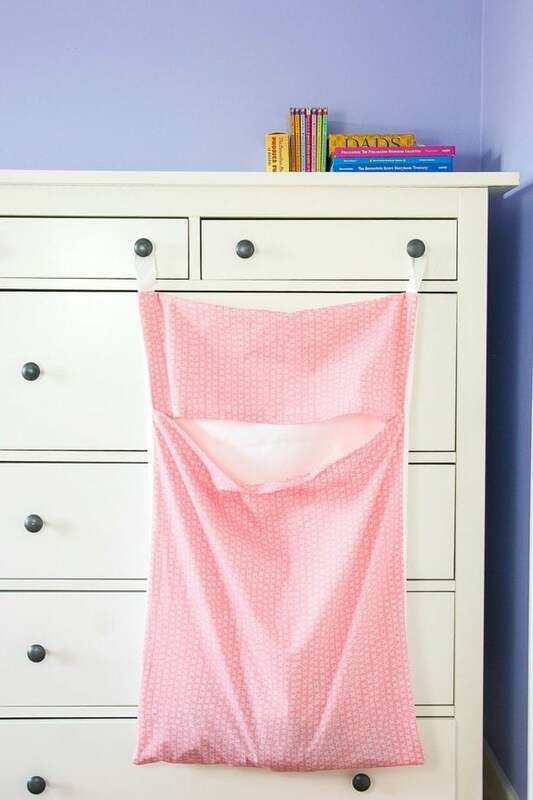 This also makes it so much easier to grab their laundry bags and do a load of wash.
I’m actually thinking about making a his and hers version for our room too. I was surprised how little time this took. Here’s another tip. I used washable fabrics so if the hampers get smelly, I can just wash them. Thanks so much for reading! Feel free to subscribe to my newsletter below this post. 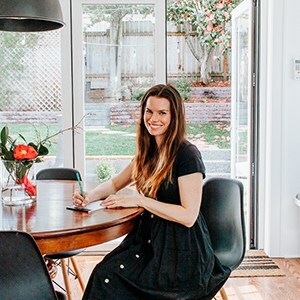 This way you won’t miss a diy project and/or post!